It’s not a secret: Prague’s cobblestone-heavy streets are not ideal for long boarders and skaters that lost their heart to the city. Meandering through tons of people, avoiding potholes and being forced to stop because the road ahead consists of cobble-sized stones is not exactly what one could call the skaters’ dream. For those of you that still brought their favourite 4-wheeler with them: There’s hope! Prague offers a wide range of parks, hills and trails which are completely cobblestone-free. Curious? Read on! A short tram ride from Anděl to Lihovar reveals a quiet and nature-y paradise along the river. Though you will have to share the trail with bikers, there are clear markings on the road, making sure everybody gets their fair share of the road. Skating along the river, you pass Branik and get a beautiful view of the same from the opposite side of the river and get to see some Graffiti art on the wall to your right coming up. You can follow the trail all the way to Modřany, where you will be greeted by poppy fields (especially beautiful in May, when they are blossoming). If you feel like going on, just simply follow the track through a small forest. Be prepared though, you will have to navigate through freely roaming, happy sheep going on from here! Thirsty? The farmer owning this area set up a little caravan café where you can get an awesome limo, coffee or even beer during summer – the perfect end of a thrilling ride! You don’t want the fun to end? 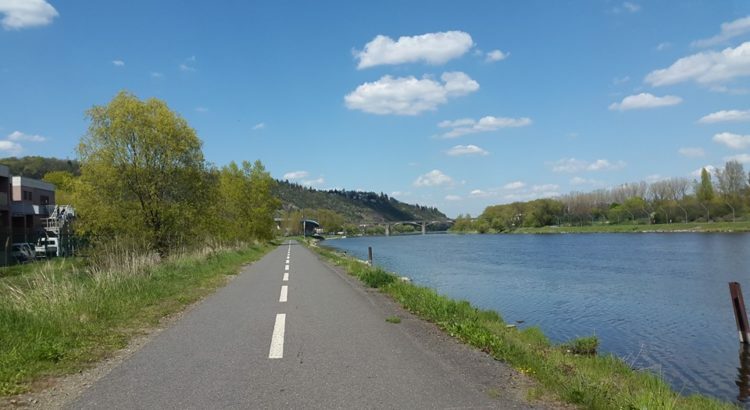 You can continue your skate all the way to Radotín, paying the little chapel by the river a visit or just take a bath in the Vltava or the nearby biotope on a hot summer day. Though the track includes a short part of cobblestone, it is entirely possible to skate over it – since it is new cobblestones which interlock, creating a flat surface. Can’t wait to check it out? Get detailed directions here! Just one ride on the metro B line will throw you into the residential area of Stodůlky. As curious as this may sound, this is where your ride into nature starts. From the metro station, head towards the busy main street and cross it. You will find yourself standing in front of a small garden-like area. Mount your board now and follow the greenery till you go downhill. From here on you just follow the trail down, pass another residential area and then are directly lead to the beginning of Centrální park. This beautiful and green park reminds one of its archetype that it was build after: New York’s Central Park. The best thing about this flexuous and slightly downhill park is that you always see who or what is coming at you and can maneuver accordingly. The wide and newly paved road makes riding a pure joy, even as a beginner! A big plus: Once you hit the pond of Centrální park (which makes a great place to sit down and bathe in the sun), you get choose whether you want to follow the trail down to Luka or turn left and end your ride in Nové Butovice. Find the trail in detail here! Beyond the walls of Vyšehrads stunning ruins, a bike and skate trail all the way to Zbraslav arises! Get off at Vyton tram stop and skate through the tunnel (watch out, the street is narrow and often very busy!) to find a wide and clear trail along the river. Though here and there the trails could use some attention from Pragues road workers, the trail is extraordinarily skateable. You just follow the trail along the main street but have no fear, shortly you will get into less concrete environment than this. You can follow the trail along the river all the way to Braník and if you feel like it even climb to the top of it for a gorgeous view! Find directions here. Get lost in the woods while in the centre! Mount one of the many trams from either Palmovka or Biskupcova and get off at the stop “Krejcárek”. We know, this might look like a no-mans-land and: It is! Though frequently used by people living nearby Vitkov, it never is too full to skate. A little hill starts your trail and from there you get an awesome view of the other side of Prague. Smoothly swinging along beneath bushes and trees, you get to enjoy a little piece of mind. Follow the trail through the tunnel and come out to more blossoming trees, flowers and Co. of Vitkov’s park! It can get quite a bit crowded from here, since people come to walk their dogs, let their kids play or just to promenade. That makes it just a little challenging and you get to practice avoiding obstacles without big risk of injuries on both sides. The road is clear and you can tell if someone is coming your way. End your skate before the bridge of Hlavní nádraží and easily hop on the metro to get back home! Wanna see where you are going? Check your trail out here! Tired of going to the zoo on a sunny day? Why not grab your skateboard and enjoy the river, the quietness and a freshly draught beer or Malinovka? Simply take the bus to the zoo and pass the same, walking down to the river. The trail is very self-explanatory and is usually very quiet – nonetheless stunningly beautiful! The track is very flat and the concrete newly re-done, which ensures a great skate experience! You wanna take a friend along? No problem, the street is broad enough for both of you. On the trail, you get to see another hidden sight: Podhoří’s rock formation towering over the Vltava. When you reach a narrow (uphill) crossing, turn to the left and if you dare, mount your skateboard and skate the curvy hill. On your way back, make sure you stop by one of the two little bars along the river: A great way to end your evening skate with an ice cold beer while the last sun beams warm your skin! “take a bath in the Vltava” ? !